Minnesota generates 220 startups per 100K of the population, which is 80% above the national average of 140 startups per 100K. We are very innovative and there seems to be no shortage of ideas. 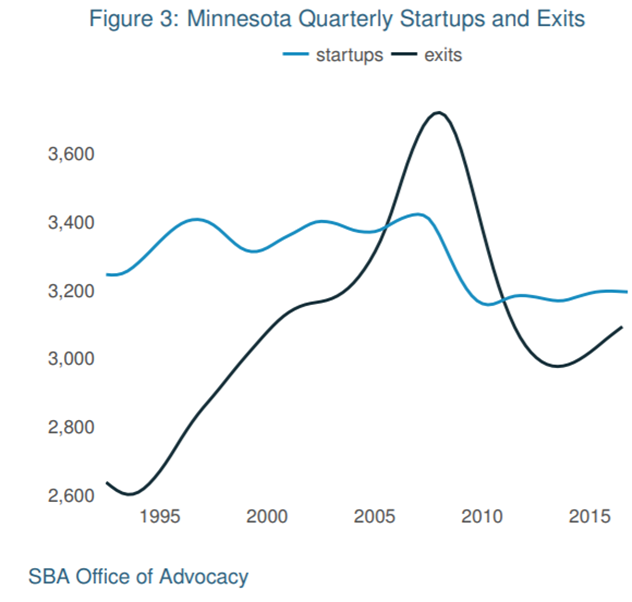 Unfortunately, if we look at the results from SBA, we see that we have as many deaths as many new startups are born, making the net impact to nearly zero. Why are startups dying? The answer is simple, we don’t have the capacity to support them. Incubators roughly double the five years survival rate of startups, and they have proven to be a good investment. I tried to search how many incubators and accelerators are there in Minnesota, I could find 25, thanks to Dr. Brian Abrahams for putting this list together. Even if take programs like MN Cup that supported 90 startups through the process, or Clean Tech Open, or MinneDemo, and other entrepreneurial support programs, we will see that our total capacity to support startups in a systematic way is between 5% and 10% of the total need. We have a problem, Minnesota! We need more incubators. If we plan to double our current capacity from 25 incubators/accelerators to 50, we will need $100M+ to start 25 more incubators, and of course, it will take time to build them and make them fully operational. IdeaGist can reduce the upfront investment needs by 90% and can reduce the operating cost by at least 50%, launching startup incubators for underserved and remote communities in a short time. 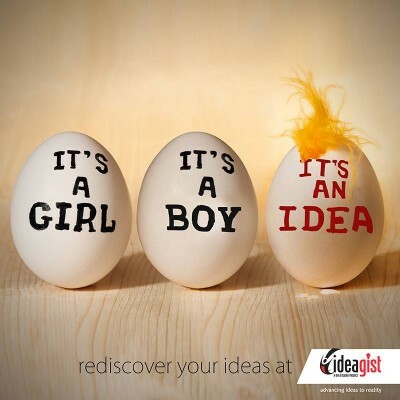 Let’s talk if your organization is interested in starting an incubator or accelerator program. The Institue for Innovators and Entrepreneurs at Hamline University is building a Minnesota community on IdeaGist platform. You can join IIE community on IdeaGist for free. Membership of IIE community will also provide you access to our global network in 195 UN-recognized countries.